GREAT OPPORTUNITY TO REMODEL OR REBUILD on one of the prettiest streets in the SouthPark area. THIS HOME HAS JUST BEEN REDUCED $50,000 AND THE LIST PRICE IS FIRM! This wooded & very private lot! 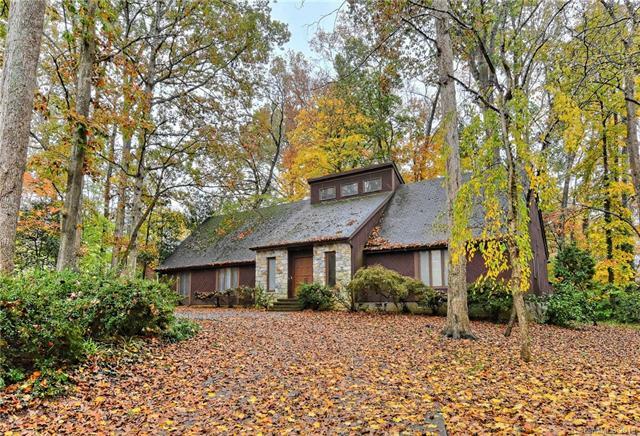 Mid century contemporary home features a vaulted tiled foyer, massive vaulted great room with stone fireplace and wet bar. Huge master bedroom on the main level with adjacent office / study and dual walk-in closets. 3 spacious bedrooms on the upper level, one of which has it's own private bath making it a perfect room for guests. Amazing storage throughout! A circular driveway graces the front and leads to the side load carport. Partially fenced back yard offers wonderful privacy and beautiful shade trees. Prestigious location just minutes to SouthPark shopping & dining in the Myers Park school district! This home is sold in AS-IS CONDTION. Cross-listed as a building lot, MLS 3453072.